The Horror Digest: Trilogy of Terror: Wonky's Back! I'm not quite sure why I decided that two doses of Karen Black would be safe so close to one another. 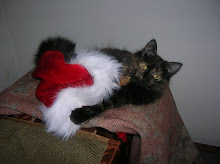 Perhaps as much as I detest her wonky eye, I secretly love it at the same time. Yes, that must be it. 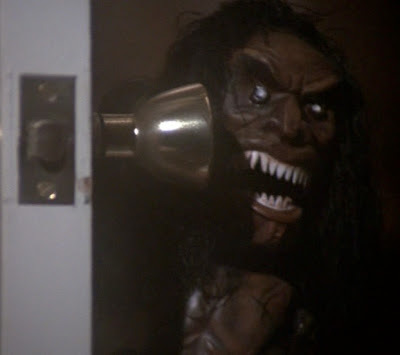 Regardless, Trilogy of Terror is that little piece of TV goodness that people always seem to bring up in conversation. People could be talking about anything scary--and the Zuni doll will continue to be brought up. I had to find out what it was about this Zuni doll that kept so many people up at night, tossing and turning and recalling those days from when they were children, and petrified of a little doll with bad teeth and a knife. I was perhaps most surprised to find out that the first two segments of the Trilogy of Terror are quite forgettable. In fact, I knew virtually nothing about either of them because everyone was always so focused on the Zuni doll. I find it funny that the entire anthology is called Trilogy of Terror yet the first two parts are anything but terrifying. I found them both to be pretty bland, unoriginal and completely boring. Millicent and Therese especially--on the unoriginal side as I guessed the outcome within 2 seconds. It was pretty evident by the way she was talking exactly like Sybil. That's really not a spoiler at all, because one look at that dreadful blonde wig will clue you in immediately. Blah blah okay so we finally get to Amelia and I can't help but be continuously underwhelmed until the appearance of the Zuni doll. I guess what it comes down to is that I am not wowed by Karen Black in the slightest. Something is off with her, and if I'm not mistaken it's that same offbeat thing that causes people to like her. That confuses me. Why am the only one who doesn't fall head over heels in love when I hear her name uttered? I must have missed out on something important during her hey-day. Oh well. Here's the thing about Amelia. I think it greatly suffers as a one woman show. I'm not convinced that Karen Black really pulled that off the best she could. There was so much, SO MUCH thinking out loud that it drove me nuts. I wrote about this earlier this month when talking about a dreadful Asylum film, but one of my pet peeves is when lines are written that simply do not need to be. When Karen Black sees the lamp flicker on and go out, she says out loud something along the lines of, "Huh? Must be a faulty bulb". This pisses me off to no end. We as an audience who are paying attention should realize that something is amiss and that the lamp going off is part of that. We don't need someone telling us that the lamp going out is weird OR anxiety provoking. 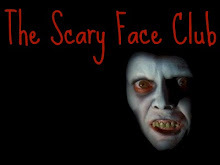 It should have instead be read on Karen Black's face and her emotions. The other problem is that once you get past the age of six or so, the Zuni doll becomes hysterically funny. People have been traumatized by this scene for practically their whole lives. And why not? A scary doll like this, that comes to life and bites and stabs you? The thing is, the appeal of the Zuni doll quickly fades within about 2 minutes of meeting it. After that it's a continuous battle of Karen Black locking herself somewhere, and the doll getting in somehow. Then it's repeated moments of Karen Black thinking the doll is either gone or dead and SURPRISE it's not. It all seemed very redundant to me. 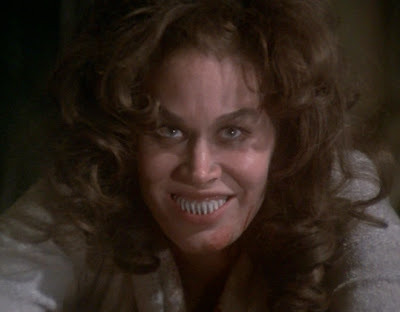 The one saving grace is that great shot of Karen Black at the end, and that smile which I'm sure was responsible for more than one nightmare. Overall, I'm pretty disappointed in Trilogy of Terror. The first two segments are so throwaway, and the third doesn't quite live up to the trials of time. Maybe it's my blind and unexplainable annoyance with Karen Black or maybe it's just really not a great piece of TV film. Whatever it is---I want my hour back. ToT is actually one of my alltime fave 'made for tv' so bad it's good films. whilst i concur that the 1st two shorts don't pack anywhere near the punch the Zuni fetish does, they still have some salient commentaries making them worth at least a look for nothing more than saying "i seen it!". As for the Zuni fetish doll short, I guess it's a matter of having been a 5 y/o at the time, and the fact that Karen Black constantly SCREAMS thru the whole damn affair that makes it stick. I did vote for her screams in ToT on some "Best Screams of all Time" poll a while back. Oh, how Karen Black haunts me so. 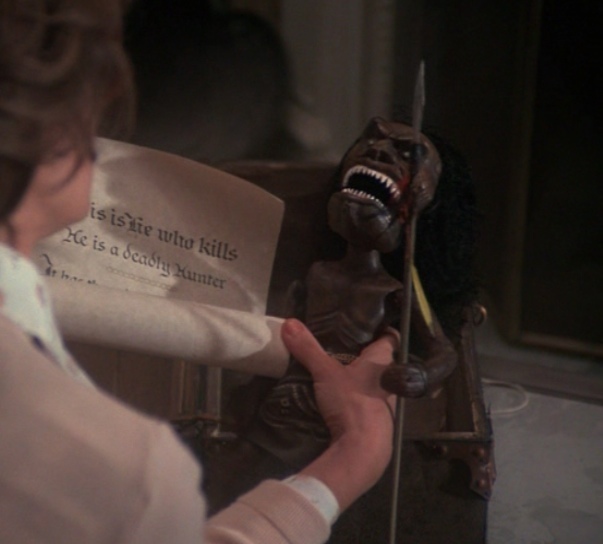 That image from Trilogy of terror is so etched into my brain. Thank you for posting this! And here I thought I found a new (to me) wonderful site to explore but you had so much hate for Karen Black. I just can't deal with that. As a young child I was convinced that I would grow up to marry Karen Black. 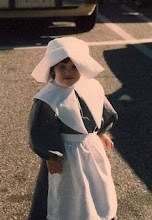 Of course, once I grew up it meant that she was now old so that wasn't going to work. But still, you be nice to my beloved Karen. Gah sorry Brent! I won't talk about her anymore no worries. I have much more important things to not like like Paranormal Activity! Coming soon. 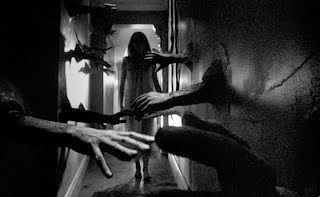 I saw this movie at the tender age of three, and it is entirely responsible for the horror-lovin' oddball I am today. So I'm in its debt.